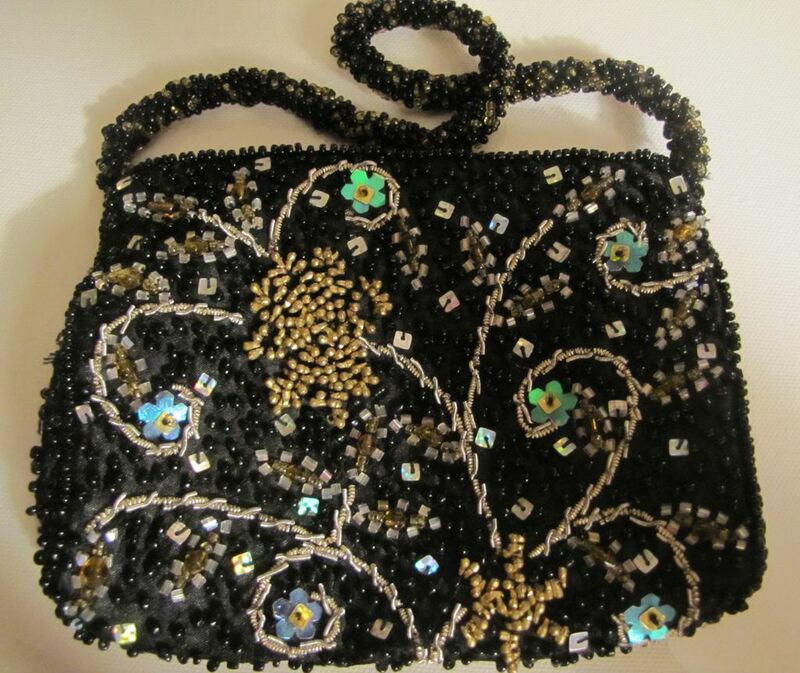 This is a beautiful evening bag or purse by Moyna. It has been hand made with a gorgeous floral design using both beads and sequins. 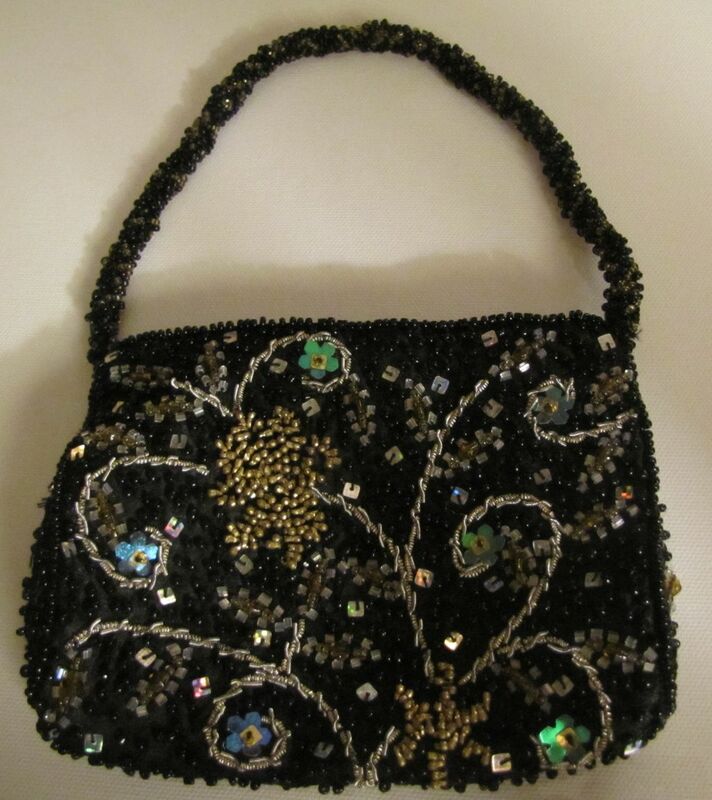 What is really nice and unusual about this purse is that the handle is round and made with tons of beads. The flowers which appear as green in the photo are actually an iridescent blue green color. 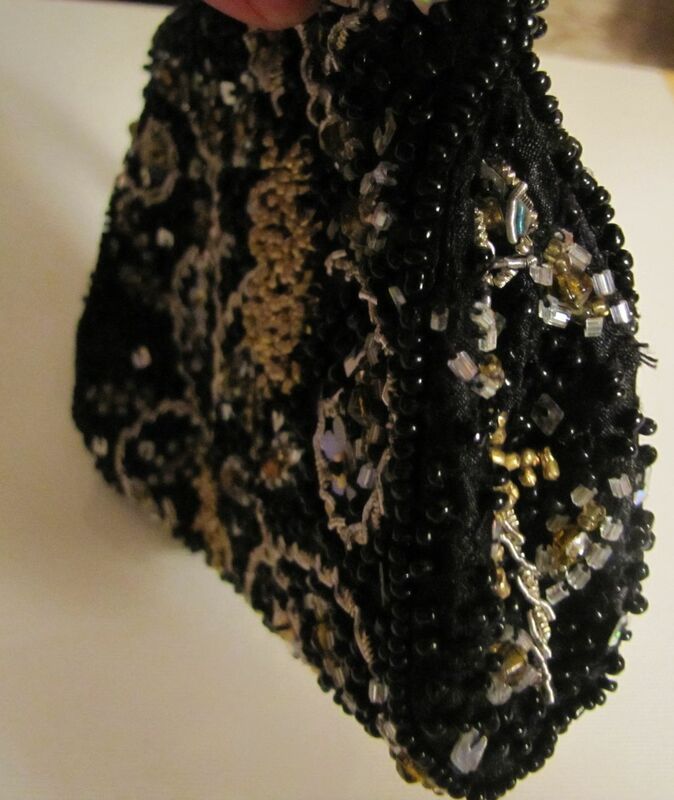 The inside is silk or satin and has a small pocket. There is a zipper closure on the top. 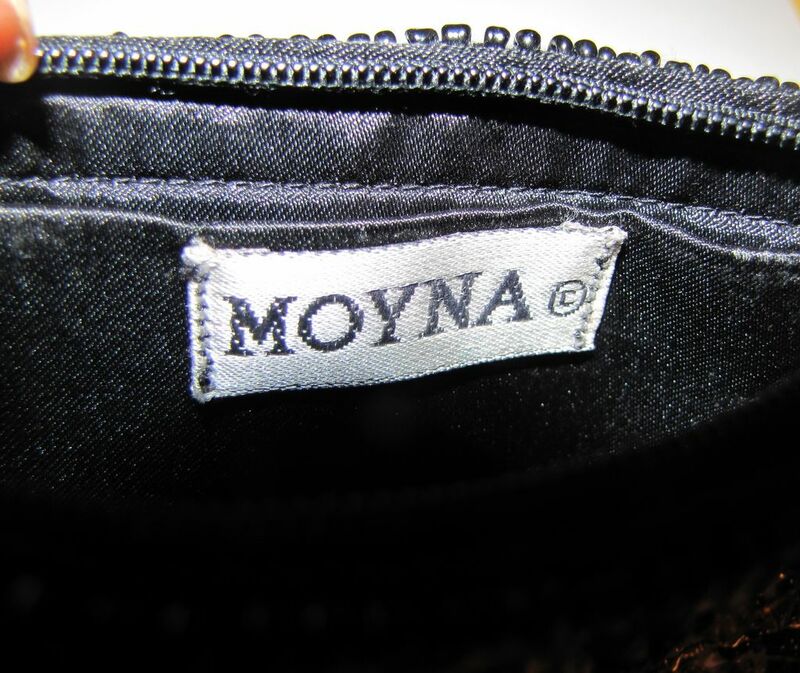 The Moyna tag with the C copyright is sewn onto the interior pocket. The measurements are 6" high by 4 3/4" wide, with strap drop of 5 1/2" and the depth is 1 1/2". It is in very good condition and has a substantial weight to it.